Indoor sports arena seating 15,000 which opened in 1957. 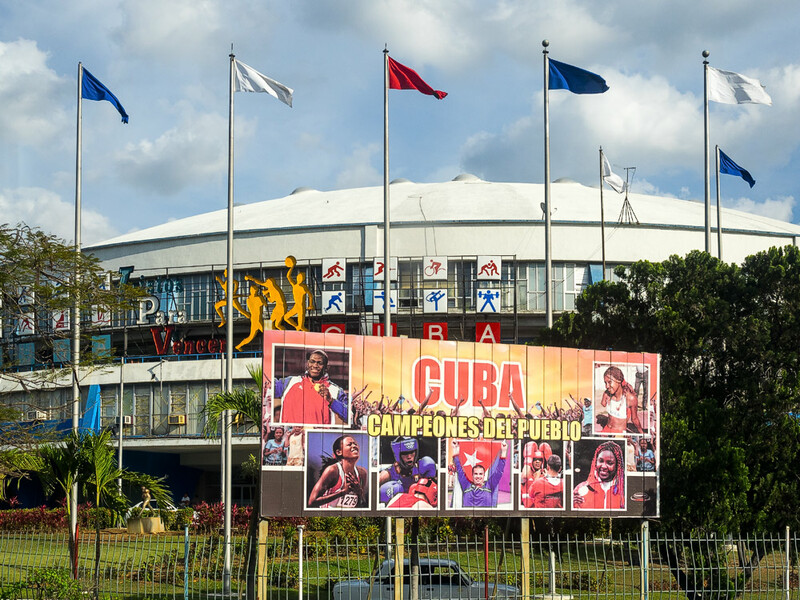 The people's athletes are celebrated on this poster to show how great and inspiring good Cubans can be! Was the Millennium Dome modeled on this? !